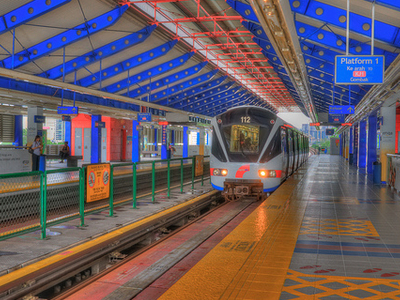 Bangsar LRT station is the Kelana Jaya Line stop for Bangsar.It is an elevated station located above Jalan Bangsar. 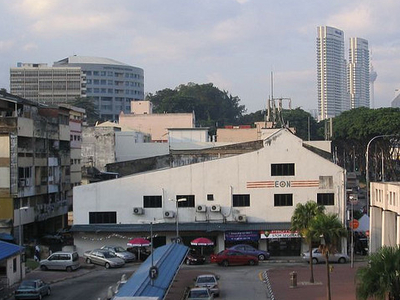 Although it is located at Jalan Bangsar, it is located at quite a distance from most parts of Bangsar, namely Bangsar Baru.The station bus stops located at street level also serve many bus routes, especially those between Kuala Lumpur and the western Klang Valley townships of Petaling Jaya, Shah Alam and Klang.FirstCoach, a bus service to Singapore departs from Lengkok Abdullah, just outside the LRT station. Here's the our members favorite photos of "Railway Stations near Bangsar and Midvalley". Upload your photo of Bangsar LRT Station!